Even general posts on Facebook from people you know can fall into the cyberbullying ‘grey area’. 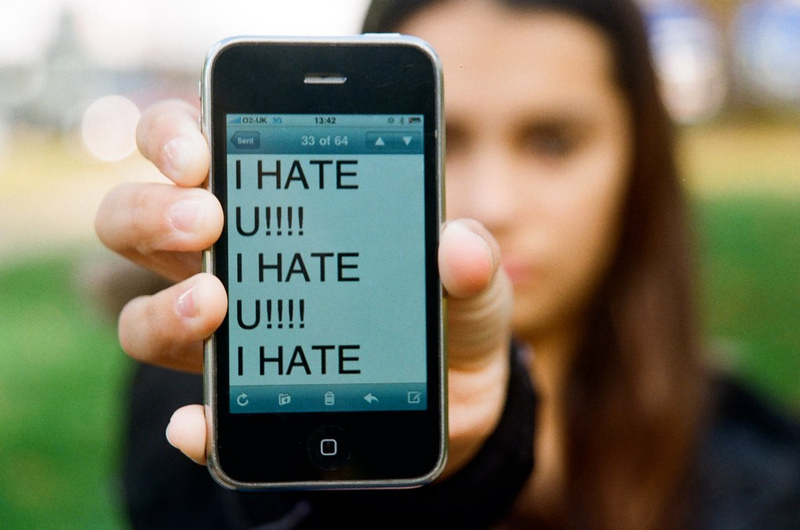 New stats say that 43% of teens have been victims of cyber bullying. It’s a new world, and new coping skills can be explored and adopted to cope with this real and growing problem. The internet means bullying can now follow you home, whereas in the past home was a safe and secure place, a place where you would get your ‘fitting in’ and ‘belonging’ needs met. No wonder so many teens are more anxious than ever before. When we are developing and growing emotionally, we put a huge importance on how others view and value us, so insulting online comments about your looks or behaviour (or your very existence) can cause real and lasting damage if do not have the coping skills to view and manage the situation in a rational and healthy way. Our physical fight or flight reaction (“Danger! Hazard! Time to panic!”) is likely to kick in when others treat us in a negative way, and our confidence can dip, and stress can become an actual emotional health disorder. Be careful and mindful of how you talk to yourself about yourself, and how you talk to yourself about others and the world. Our self talk is how we make sense of the world, it’s the voice that assigns meaning and significance to events, but when stress becomes a disorder it causes a shift in thinking, so that our self talk is overwhelmingly negative, and assigns the wrong meaning and significance to the situation. CBT strategies help us to develop awareness of this voice, and how to examine and weigh up actual evidence for and against the things it says. The cyberbully, on seeing a photo on Facebook of a girl from school that she barely knows. The victim – minding her own business at home, checking the tagged photo . She’s a horrible **** and deserves to be taken down a peg or two. The way she swans around in her expensive clothes with her stupid highlights… God she thinks she’s great! I’m going to post a comment on that tagged photo saying she looks like a man in drag. The shoulders on her! Oh God, I look like a man! Why would someone be mean like that?I irritate people.Nobody really likes me.They’re all laughing at me now. Do you think the cyberbully feels justified and righteous in their thinking and behaviour? Which of the common unhelpful thinking habits might the cyberbully have that is causing their upsettness and anger and bad behaviour? It doesn’t seem quite rational does it? Do you think the cyberbully would rather be a cool calm nice person if given the choice? And that their behaviour is ultimately self sabotaging to themselves as well as the victim? What would you advise the victim in this case? What would you tell your best friend, or someone you loved who was in this situation? What would be a self sabotaging behaviour for the victim to choose? And what would be an alternative healthier choice of behaviour? Notes – remember and apply this learning to yourself whenever you need it! Whether you’re the bully or the victim. Be cool. « Guest blog for Plan Ireland’s ‘Because I am a girl..’ campaign….